Bristol Drains and Hudson Plumbing & Heating will customise a planned maintenance service to meet domestic, commercial and industrial requirements. By scheduling regular engineering services to inspect drains, pipes, liquid waste tanks or treatment plants you will prevent serious and costly repairs and replacements and also extend the life of your current fit-out. We offer planned maintenance at very competitive rates scheduled on a cycle of monthly, quarterly or an annual basis. Our engineers and plumbers have the operational efficiencies, equipment, tankers and expertise to inspect and clean, repair or replace parts to keep your home or business operating as expected. Twenty years experience serving Bristol, Somerset, Wiltshire and Gloucestershire. Qualified and experienced engineers, technicians and plumbers. Accreditated and certified ISO 9001 registered, CHAS, EXOR, Gas Safe OFTEC. Bristol Drains will tailor your planned maintenance program to suit requirements. We offer a comprehensive engineering service around drains, pipes, sewerage and liquid waste removal. We have the tools, technology, equipment and vans supported by a professional, friendly team. Planned Maintenance Services are selected from our full-service offering. Call today or enquire online to learn more about the Bristol Drains and Hudson Plumbing & Heating planned maintenance services. 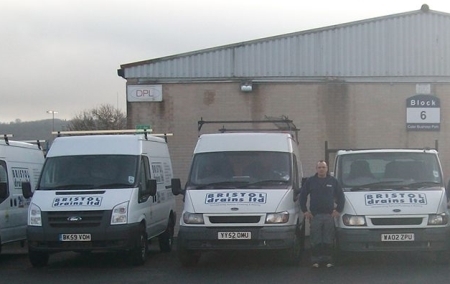 We are Bristol's premium drain, liquid waste, plumbing and heating experts.